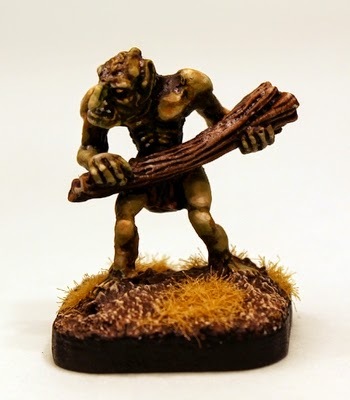 Using a Human femur as a toothpick and absently leaning on a wooden club that used to be a fully grown tree Trolls are mighty dangerous if stupid foes on the battlefield. 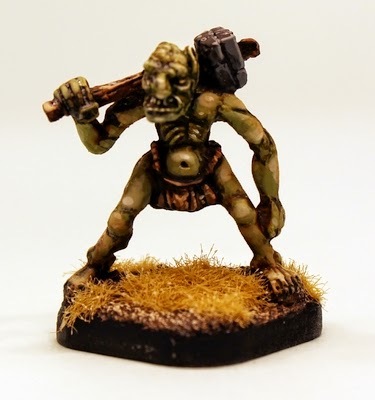 15mm.co.uk has made your little warriors lives all the more dangerous today with the release of our new 15mm scale white metal Trolls. Back in the middle of July I showed off the greens for these new monsters in a Sneak Peek which is worth reading for the insights into the design process if for nothing else now. But lets get back to the main show the big and nasty that likes to create carnage. 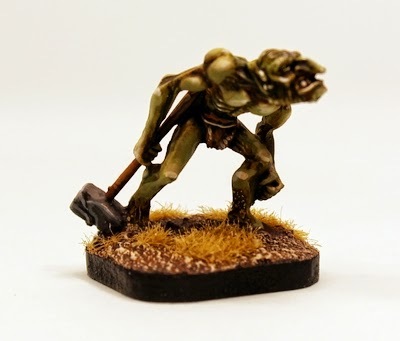 This veteran pack was one of the first in the HOT Range selling thousands of times over twenty years and contains two identical War Trolls about 25mm tall and in one piece white metal. Armed with a stone headed hammer. Supplied Unpainted and no assembly required. Suitable for any 15mm fantasy game system. 4.00GBP per pack and you can also select three packs and automatically save 10% off the price. Go HERE. A brand new pack in the HOT range containing two identical War Trolls about 25mm tall and in one piece white metal. Armed with a masonry topped hammer. Supplied Unpainted and no assembly required. Suitable for any 15mm fantasy game system. 4.00GBP per pack and you can also select three packs and automatically save 10% off the price. Go HERE. A brand new pack in the HOT range containing two identical War Trolls about 25mm tall and in one piece white metal. Armed with a fallen tree fashioned into a club. Supplied Unpainted and no assembly required. 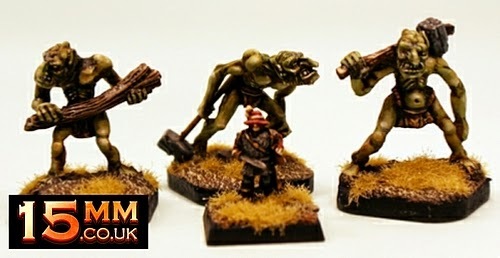 Suitable for any 15mm fantasy game system. 4.00GBP per pack and you can also select three packs and automatically save 10% off the price. Go HERE. This is a bumper pack for those looking to get a group of Trolls in one shot with a saving to boot. This pack contains six Trolls taken from HOT3A, HOT3C,HOT3B evenly mixed and offers a 2.00GBP off; that's one free monster simply put. 10.00GBP per pack and you can also select three packs and automatically save another 10% off the price. Go HERE. Here is a picture of the Trolls with a 15mm TTF Human Bard for scale purposes as this miniature is not supplied but can be found in code 505 Human Characters I. We will be releasing more new miniatures into the HOT Range during this year and if you have an idea about what they should be them drop me an email and tell me about it. These new miniatures today only exist due to customers requests. 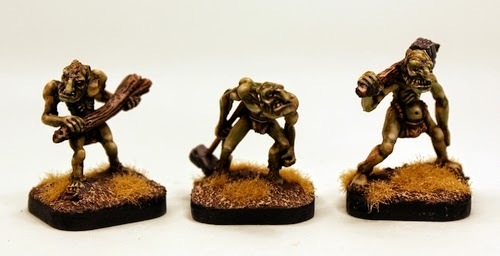 I'd love to see some of the old Table top Miniatures Orcs if you have the moulds for those. They also did a superb Baltic that has been out of production for too long. Thanks Gavin. I have some of both of those codes already. I use those Orcs as my Uruk-Hai. That should, of course, be Balrog, not Baltic! Autocorrect error! 15mm.co.uk is now on Facebook! ASL02 Human Colonial Army Pack for ASQL released!